Product #45759 | SKU S-82BMIST | 0.0 (no ratings yet) Thanks for your rating! 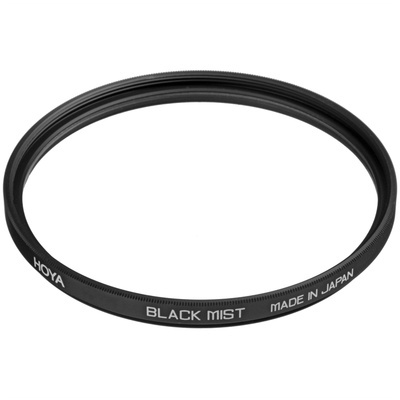 Helping to reduce contrast and produce a subtle overall softening effect, the 82mm Black Mist Filter from Hoya is well-suited for portraiture applications. By lessening the harsh contrast of a scene, and softening the image quality, this filter is especially useful for smoothing out unwanted wrinkles or blemishes from subjects, and for producing a more controlled appearance. This filter is constructed from optical glass and is set within an aluminium alloy ring, which features 82mm front threads for stacking additional filters or attaching a lens cap. Produces a controlled softening effect across the entire scene. Lowers the apparent contrast and helps to smooth out unwanted fine details. Lowered contrast and subdued sharpness provide an overall soft, flattering look for portraiture. Optical glass substrate and aluminium alloy filter ring.